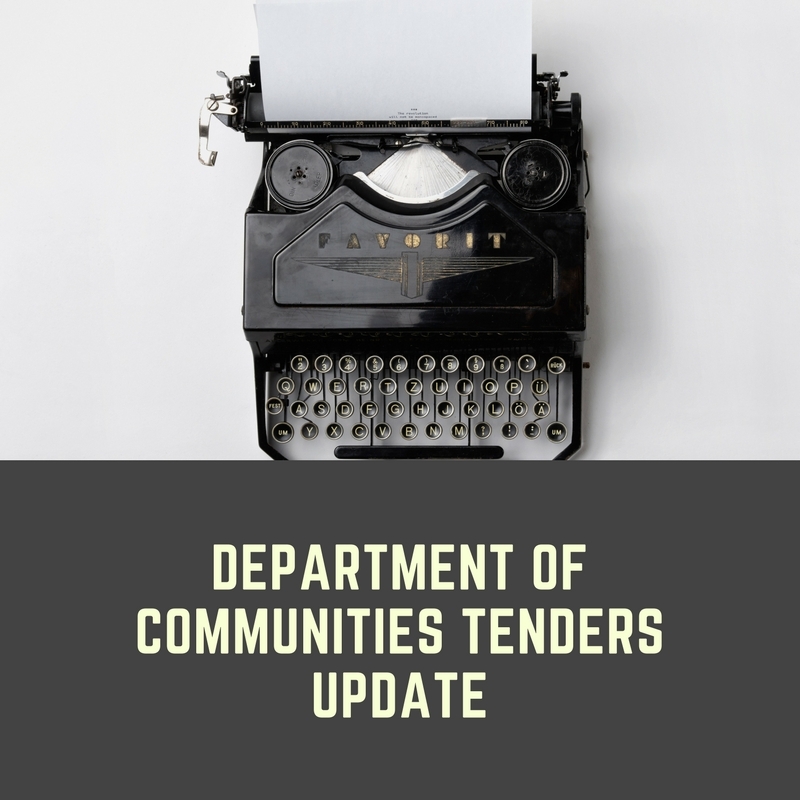 The anticipated Award date for the Family Care Support Tender Request (CPF2017-6604); Family Support Network Lead Agency Tender Request (CPF2017-6607); and the Intensive Family Support Service Tender Request (CPF2017-6606), have been changed from Thursday 1 February, to Friday 1 June. As a result of this change, letters were emailed to current service providers to extend service agreements until Friday 31 August, which includes a three-month period for new service providers to commence service provision, and provide notice to current providers that will have service agreements ceasing. The Emerging Issues Forum is a strategic event for community sector leaders, to identify and analyse the economic, political, and social trends within our community, and changes to the funding and operating environment. The forum will inform the strategic service planning needs of community service providers into the future. We invite you to complete the survey, which will provide WACOSS with an understanding of trends that are impacting the sector and communities we serve. Nominations are now open for the Community Services Excellence Awards. The awards are an opportunity to pause and applaud the work of the sector, and those who work to assist people experiencing adversity and disadvantage. There are six organisational categories, and two individual categories. 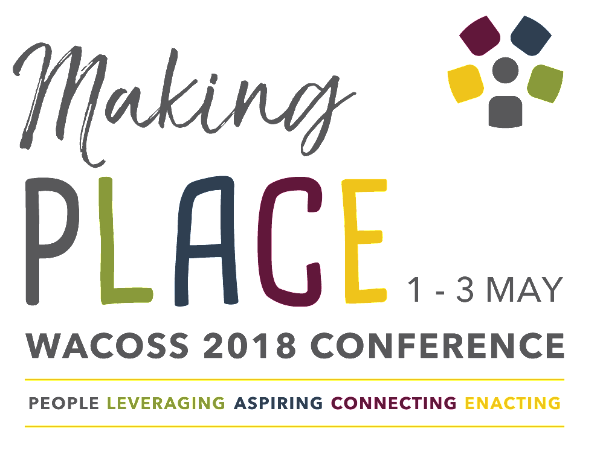 Winners will be announced at a ceremony on Wednesday 2 May, in conjunction with the Making Place WACOSS 2018 conference. The Making PLACE WACOSS 2018 conference is shaping up to be a dynamic event, and a professional development opportunity not to be missed. Early bird pricing must end on Friday 16 February. Save nearly $100 on your conference ticket, register to attend today. Why are social service organisations best placed to help communities in the event of a natural disaster? Workshop facilitator Stuart Reid explains the vital role organisations play, to help their communities bounce bank in the wake of a disaster. Workshops are being rolled out across WA, and include regional and metro sessions in February and March. Bookings can be made here. Financial assistance is still available for metro and regional not-for-profit organisations to attend the Making Place conference, thanks to Lotterywest funding. Subsidies can contribute to the cost of attending, and are allocated on a first come, first served basis. Subsidies won't last long. Don't miss out, apply for a subsidy today. DropIN Solutions recently designed the ME/CFS and Lyme Association of WA Annual Report. The organisation is committed to seeing improved understanding of these illnesses, more research into its causes and treatment, and better services and care for those affected. DropIN Solutions is a WACOSS social enterprise committed to helping community organisations achieve more through marketing and design. The Australian Electoral Commission is working on an Indigenous Employment Strategy, to improve employment opportunities for Aboriginal and Torres Strait Islanders to work at the next federal election. There will be a range of temporary employment opportunities available. There is also opportunity to work in an outpost centre in Perth, Geraldton, Kalgoorlie, and Bunbury. The AEC are looking for people of all different skill sets. For more information email: iepp-wa@aec.gov.au or phone 08 6363 8025. Rainbow KINection is a Noongar Radio show supporting and celebrating the LGBTIQAP community. The show is always looking for organisations who provide services to the LGBTIQAP community, to feature on the program. Interested organisations can come down to the studio to record a program on an issue of importance for the LGBTIQAP community. For more info get in touch with the hosts via their Facebook page. The Australian Network for Universal Housing Design (ANUHD) are conducting a survey to identify the any difficulties in finding livable housing, the cost and benefit to Australian Society in providing livable features in all new housing, and the features that should be in a livable standard for all new housing. Responses will contribute to the National Dialogue for Universal Housing Design's goal that all new homes will be of an agreed livable design standard by 2020. The Hedland Collective is a new, innovative effort in Hedland to improve collaboration between community services, local companies, local and state government on key local priorities. The Coordinator will be responsible for fostering communication and collaboration among partners, maintaining, updating, and tracking progress on the strategy and action plan, acting as external spokesperson, ambassador, and connector for the Collective. City West Lotteries House in West Perth has prime office space available for not-for-profits to lease. It's a community-focused office with communal kitchenettes, toilets and showers, meeting rooms and conference room. Offices are available ranging in size from 30sqm to 70sqm, suitable for small to medium sized NFPs. Casual office space is also available for hire for regular and ad hoc business activities, short term projects and temporary office accommodation. Contact Tricia Slee, Executive Officer, eo.cwlh@westnet.com.au or phone 08 9420 7235 for more information. Thanks to the support of Lotterywest, Pilbara Development Commission, and Natural Disaster Resilience Program, Disaster Resilience workshops will commence in March. Based on additional feedback from the Pilbara's community sector, there will be an opportunity to partake in either two half-day workshops on Governance and Collaboration, or a full-day Grant Writing workshop on Friday 23 March in Newman. If you're interested, take the survey below to identify which training you would prefer to attend, and WACOSS will confirm the preferred workshop themes in early February. YMCA WA Youth Mentor Summit will present a session introducing disability awareness, which will cover person-centred perspectives, an introduction to positive behaviour support principles - approaches to managing challenging behaviour, types of disability as a signpost to how to best support, such as autism, intellectual disability, and anxiety disorders, questions and discussion. The session will be facilitated by Jane Ogilvie from the Disability Services Commission. Compassion Focused Therapy (CFT) uses compassionate mind training to help develop and work with experiences of inner warmth, safeness and soothing via compassio and self-compassion. The two-day workshop for clinicians, mental health practitioners, and the mental health workforce, will feature international speakers, and teach practitioners how to support clients experiencing distress associated with hearing voices and other perceptual experiences. The Richmond Wellbeing Centre workshop is on 13-14 March, and pricing ranges from $495 to $575.